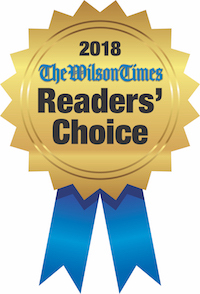 Top 5 reasons to join Wilson Country Club. Host your next golf outing/tournament at Wilson Country Club. Wilson Country Club was opened in May 1915 on the site that is currently known as Willow Springs Country Club. The club grew at a rapid rate following WWII and the size of the membership eventually grew too large for its initial home. Unable to expand the facilities, the club moved across town to its current site in 1973. Mr. William Byrd designed the new layout that we are so proud of today. Mr. Byrd designed and remodeled over 100 golf courses during his career which panned nearly five decades. His Wilson Country Club design still receives rave reviews for its beauty and overall playability. We have hosted eight Carolinas Golf Association majors: 2010 NC Men’s Amateur, 2009 NCWGA Ladies’ State Amateur, several US Open qualifiers, Web.Com Tour qualifiers, our annual Two Ball Invitational and our annual Pro-Am Invitational. Wilson Country Club underwent a renovation in 2005 to modernize the course and improve the putting surfaces. The renowned architect Mr. John Lafoy was chosen to do the renovation and work began in May, 2005. John Lafoy has redesigned over 100 golf courses throughout the country and has redesigned many classic layouts, including those of architects A.W. Tillinghast, Alistair Mackenzie, Seth Raynor, Charles Blair MacDonald and numerous Donald Ross designs. The redesign of Wilson Country Club has certainly made it one of the finest golf courses in North Carolina. Interested in taking a membership tour? 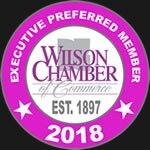 Interested in Joining Wilson CC? Did you know you can now put your Tuesday 2 Go Orders in Online? Don't forget to subscribe to our E-Club to get the latest club news via email.